Firstly, my six-year-old daughter sang her heart out at the Year 1 carols, explaining how she and her classmates painted a big snowman picture with handprints. A proud mama? You betcha! Secondly, this week's edition of Gathered by Mollie Makes (a weekly digital crafty delight for iPaders) included my little needle-felted gingerbread man on the Show & Tell page. How exciting! The gingerbread men are a perfect late addition if you feel your tree or mantelpiece needs a little something extra. 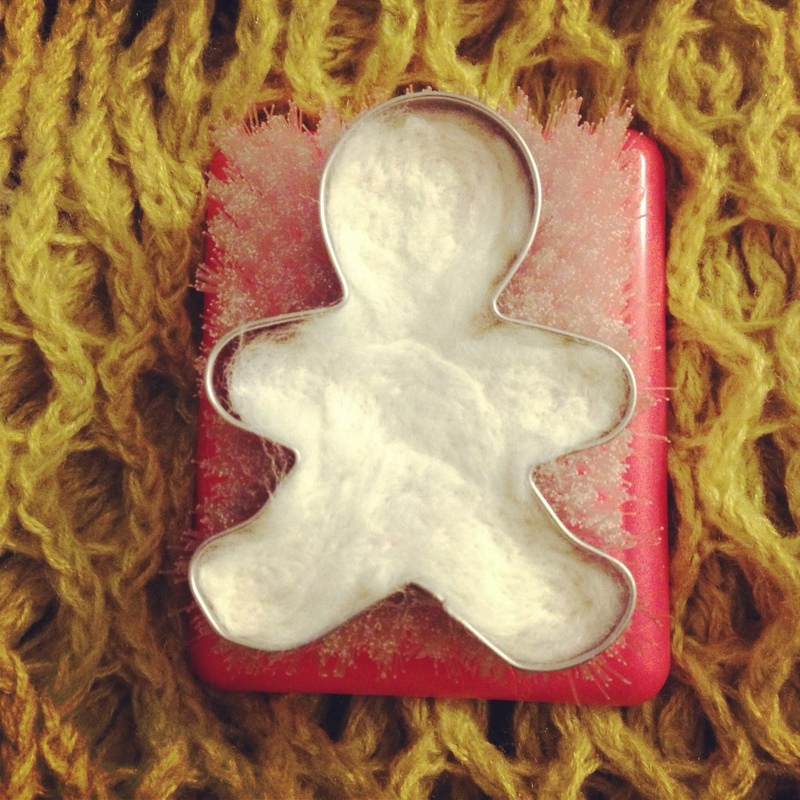 Last week I drew together a little felt gingerbread man how-to. If I don't post again before the Big Day next Tuesday, I hope you have a very Merry Christmas! Next A month of A-Z, from A to Z! Congrats on your gingerbread man appearing in Gathered! He is a bit cute! And merry Christmas to you too! Hi Sarah, I had to leave a comment as your gingerbread men are sharing the page with my crochet bauble. I also have a 6 year old, however he specialises in trying to look completely disinterested, putting his hands in his pockets, mouthing the occasional word and yawning.